на тему родовых поместий, опубликованная в США (на английском языке). Выходные данные статьи: Pavlov Mikhail Yu. How to overcome global economic crisis: from Homestead-Act to Wikinomics and Kin Estates // Russian Economy in the Context of Globalization. ICET, Bozeman, MONTANA, <st1:country-region w:st="on">USA. 2013. – P. 38-43. «Россия должна из догоняющей, отстающей страны превратится в самую привлекательную для людей страну в мире. И помочь другим странам стать не менее привлекательными для жизни. Давно пора остановить утечку мозгов из России, а для этого наша страна должна совершить «тигриный прыжок» на основе наиболее передовых идей – таких, как идеи Родовых поместий. Я мог бы давно уехать из России на Запад, как это делают многие мои коллеги. У меня для этого есть все данные: прекрасное образование – по экономике и по информационным технологиям, дипломы с отличием, научные звания, степени, очень неплохой опыт работы – 6 лет на позициях топ-менеджера, не считая других должностей за многолетнюю карьеру, плюс знание языков и т.д. и т.п. Так что я высоко котируюсь на международном уровне. Мой одноклассник давно уехал за границу. У него своя лаборатория - 8 человек в подчинении, зарплата 8000 долларов США в месяц и другие блага. У меня зарплата и другие ресурсы на порядок меньше. Понятно, что такая ситуация сложилась в науке не случайно. Даже в самых бедных странах у учёных доходы намного выше. Кто-то специально негласно, скрытно проводит политику в области науки, направленную на «выдавливание» наиболее квалифицированных кадров из России. Не скрою, мне очень тяжело творить в таких условиях. Но я верю в прекрасное будущее России, в прекрасное будущее всего человечества, как бы пафосно это не звучало, и хочу хоть что-то сделать, чтобы это будущее из мечты скорее воплотилось в реальность. Я романтик по натуре. И я вижу, как однажды, в едином порыве, человечество совершит гигантский рывок вперёд. Реализацию прекрасного образа уже не остановить. Не только в России сейчас тяжело. Глобальный экономический кризис ударил прежде всего по простым людям во всём мире. Но как бы ни старались реакционные силы остановить развитие человечества, время идёт вперёд. Сегодня многие российские учёные-экономисты считают американскую науку незыблемым авторитетом, безусловным образцом для подражания. Но настанет день, когда американские учёные с огромным интересом будут читать статьи российских учёных, пытаясь осознать и воспроизвести у себя то новое, что сейчас только-только начинает воплощаться в реальность в России». Pavlov Mikhail Yu. How to overcome global economic crisis: from Homestead-Act to Wikinomics and Kin Estates // Russian Economy in the Context of Globalization. ICET, Bozeman, MONTANA, USA. 2013. – P. 38-43. Abstract. 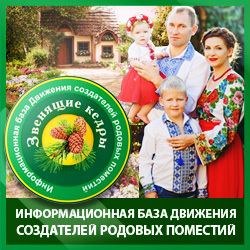 New model of economy – distributed activity, creative work and new union with the nature based on wikinomics, electronic cottages and new Russian idea – kin, or family estates – is developed by the author. Historical analogues for the new model were homesteads and un-alienated ownership. The new model of economy allows overcoming alienation and providing social minimum – this is the new way to human-oriented economic development. Key words: global economic crisis; wikinomics; homestead-act; kin estates; knowledge-based economy; the Second Wave; the Third Wave; de-urbanization. JEL codes: J20, I31, O31, O44, P48, Q01, Q15. In 19th century, the United States of America was rather plain country with extractive economy. The U.S. was a supplier of raw materials for most developed countries. However, main exports from the U.S. were not oil and gas, as in the present-day Russia, but cotton. In 1860, cotton was 57 per cent of U.S. exports, and it was "slave-owning South" that gave it. There was also the "industrial North" in the U.S., but for some reason it was not a ‘protagonist’ in the economy. Although "the North" was considered to be much more progressive and, theoretically, would have to drive out the inefficient and backward slavery, it is not crowded out. In fact, the United States at the time were the main exporter of raw materials for other industrialized countries. A paradoxical situation: in a country with vast territory they lacked land, because most of it was large property ownerships of a relatively-small-in-scales-of-country small number of landlords. Not everyone, even the most hardworking and enterprising American would be able to buy his land, sufficient for the construction of houses and farming. Speculators asked too high prices for their land. But ordinary citizens did not give up and began to fight for their land rights. The Americans believed that every U.S. citizen has a right to their land (‘public domain’). They fought long and hard, and in 1862 finally won – the so-called "Homestead Act" was adopted and subsequently took its legal effect. According to that Act, every citizen of the United States could obtain from the public lands an area of 160 acres (65 hectares). For doing this, it was enough to pay a registration fee of $ 10. That was the cost of surveying, the very same land was given free of charge. In 1862, the new president of the United States, famous Abraham Lincoln came to power, he meant the changes which led to acceptance of "Homestead Act" (below also referred as ‘the Act’, ‘the Law’). The resettlement of the land, subsistence farming did not hamper the development of the country, but on the contrary, gave a powerful impetus to its advancement in all spheres. Beginning in 1863, the United States skyrocketed in multiple areas – industry, technology, economics, science, education and agriculture and many others. Later, another President of U.S., John F. Kennedy, accurately described the situation when the country grow and prosper at the same time a variety of areas: "A rising tide lifts all boats". It is an 1863 surge since which in the U.S. began to lift all boats, in the short term, that surge turned the country into world leader. Homestead Act became “one giant leap for mankind”. Why did this happen? Why all recognize the important role in raising the Homestead United States and in turning the country into a world leader? It is acknowledged by the researchers that the Act was one of the truly landmark legislations in American history which allowed at one time nearly 1,500,000 families gain self-esteem, economic independence and the pride of owning a piece of land and self-sufficient economy. One of the congressmen said: "We no longer consider the public lands as a source to replenish the treasury and are going to get much bigger dividends from those who will settle on them, make them fertile, and income-generating". Now involved in raising the rich prairie lands of the West in 17 states in the space of about 285,000,000 acres of half a million of brave and hardy settlers in the period after the Civil War contributed to the vigorous development of agriculture and industry, as well as the growth of the population. “By draining off unemployed laborers, the law would simultaneously increase the wages of eastern workingmen”. Many public and political figures of United States at that time believed that if people get the land in the property, which will make their work, they not only feed themselves, but they will have more and surpluses of agricultural products. The sale of these surpluses will buy products from other manufacturers. As a result were expanded production and increased tax revenues to the treasury. Horace Greeley, a strong supporter of that Law, saw that the Law played a key role to the free labor ideal. “To throw open all the lands of the republic free of charge, and bid each citizen to help himself to a quarter section, will open a new era in the history of Labor”, the Tribune said as Congress debated the bill. For nowadays, homesteads would be a best anti-crisis remedy. While banks are dismantling and governmental bodies are trying to save them, family farms should stand firmly. Were homestead a farm? Most of them was a small family farms that were subsistence farmers. Many Homestead were natural economies and did not produce goods. And no goods means there is no market, no market economy. The second and probably most important cause of turning of households’ production into leadership was its flexibility under harsh condition. Both capitalist and household farms can prosper in good times, but a capitalist farm must earn profits even during bad times. If it does not generate profits, the owners end its existence and can subsequently reinvest their money elsewhere. Household farm is both a way of generating profit and a mode of life. Family members had a greater stake in the farm, and they could more easily consume less and work harder in order to allow the enterprise, which was also their home, to survive. They did not need annual profits to survive; they needed only enough to maintain the family and the farm. … Household farmers won out over bonanza farmers on that time (which were businesses, entrepreneurship, but weren’t a mode of life) because they could better tolerate misery when times were bad. But the U.S. is not the only example of distribution of public lands to citizens and future prosperity of the State. Even the Roman emperor Julius Caesar who distributed public land, not in private hands, between 20 thousand citizens, accounting for three or more children (apparently, it is this experience and try to repeat today, Russian President Dmitry Medvedev). Julius Caesar founded new colonies on overseas territories to resettle about 80,000 people. Like the U.S., a few tens of years (Ist century BC) after the distribution of public lands Rome reached the highest peak in its 12-century history. Returning to nowadays, one of anti-crisis remedy is a ‘practical utopia’ (‘practopia’) by a great thinker Alvin Toffler described in his book ‘The Third Wave’. Many people read it but the future appeared to them as no more than a beautiful dream. In Toffler’s book, the outlooks of human development were described: distributed settlements, a life in a countryside, not in cities/towns, turning of an habitation into a real center of a society, an end of a workplace routine, a peril of modern-day ‘marketization’, self-supplying of people by all necessary resources, production of goods for the sake of humans themselves, ‘small-scale is magnificent’, abandoning of centralization, using of non-traditional-for-nowadays (i.e. alternative) sources of energy and many other interesting innovative ideas. Many other scientists and academics also realized that modern forms of organization of human activities is ‘cemented’ in a passed-away industrial era and therefore is outdated by now. For knowledge-based economy where development of human qualities becomes main priority, other principles of organization of human activities are applicable. It is reflected in the works of many scientists and academics from many parts of world, such as D. Bell, P. Drucker, J. Masuda, H. Kahn, M. Castells, and from Russia – A. Buzgalin, A. Kolganov, S. Glazyev, V. Inozemtsev, V. Mayevsky, V. Medvedev, G. Osipov, Y. Yacovets and many other. However new principles of organization of human activities in their territorial aspect, estimating many issues lying outside economy, i.e. familial, psychological, spiritual dimensions of life, the diversity of interests and motivation of activities of each individual – all this is presented most fully and in details right in Toffler’s opus. Cities (large cities) as we see them nowadays are product of the industrial era, of the ‘Second Wave’. Mass production in the factories required concentration of materials and resources, such mass production required concentration of workers/employees in one place. Since the material resources are generally very difficult to be transported, especially in large volumes, it was easier to move the workers closer to the factories; in other words, workers were forced to be gathered at the same place in accordance to the needs of production. But all it was in the industrial era. In the 19st and in the first half of 20th century the urban population grew very rapidly. But since the 1950s the transition to the `Third Wave` of A. Toffler (others have called it a "post-industrial society", the "knowledge-based economy", etc. ), in other words, to the individualization of production, to increase the proportion of non-material component of products, to the establishment of "society of services", to the miniaturization and even to the "dematerialization" of production (the situation when the finished product is something far more valuable than material basis on which it is delivered to the customer, such as computer programs), began. The most important thing in the `Third Wave’s` societies is the development of informational and communicational technologies. This thing will make unnecessary the urban concentration of people. Mr. Toffler proposed the idea of "electronic cottage", in other words, of dwelling which is located at a sufficient area of land, much like a First-Wave-era settlement (in other words, from times of agrarian society), but, unlike the latter, which is a modern facility, thanks to information communication, allowing people to carry on their activities. In such a habitation, an "electronic cottage", living and successfully working are both possible. The Third-Wave-era work is a compound of activities which aim to create new designs, which encloses in itself varied opportunities for full self-development. It’s a creative work, it’s a creation. It would be the real implementation of Wikinomics – economy of mass cooperation and distributed activity. On the new level, the Third Wave brings mankind back to the mode of life of the First Wave, in other words, to the land. Life in large cities mainly losses its sense because in frames of the Third Wave’s Civilization distant jobs, workplace at home – all this is more than possible. The new model of economy can be naturally based on the model of kin estates – plots of land approximately 1 hectare for constant residing and constant improving of the environment – beautiful gardens. The problem of unemployment will be not as important as nowadays – the land plot of a kin estate will provide people with food, and job can be searched remotely via Internet. And even if someone has not got a computer, it is necessary to acquire more than one computer and to assume a public availability of the Internet in a publicly-available place. Income arising from employment will accelerate the construction of a kin estate. In general, the development of kin estates will cause a significant increase of demand for informational and communicational technologies. School in each village will have to be provided with computers and to be connected to the Internet, in order to take all advantages of distant education. Mobile phones are also necessary to dwellers. This will create many new jobs and ensure the effective demand for telecommunications services. All this will help reduce unemployment caused by the crisis. Any US citizen who had reached 21 years of age and who had not fought for the South against the North. White R. "It's Your Misfortune and None of My Own": A New History of the American West. 1947. University of Oklahoma Press; Reprint edition, 1993. P. 142. Green M. Freedom, Union, and Power: Lincoln and His Party During the Civil War. 2004. P. 307. White R. "It's Your Misfortune and None of My Own": A New History of the American West. 1947. University of Oklahoma Press; Reprint edition, 1993. P. 272. Toffler A. The Third Wave. NY: Morrow, 1980. See: Tapscott D., Williams A. Wikinomics: how mass collaboration changes everything. NY: Portfolio, 2006. See: Megre V. Co-creation. NY: Ringing Cedars Press, 2008 and other books from the same author - http://vmegre.com/en/books/ . See also: Pavlov M. Rise of the USA as a superpower: The role of Homestead Act. Can Kin Estates be the next stage? (Reflections, ideas, arguments). – Moscow: TEIS, 2012.